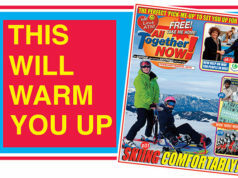 THE autumn edition of All Together NOW! has hit the streets. It’s another action-packed issue, brimming with news that’s a must for anyone affected by disability – and those who are not!